While visiting a friend on the north coast of Jamaica I came across this baby pineapple growing in their garden. 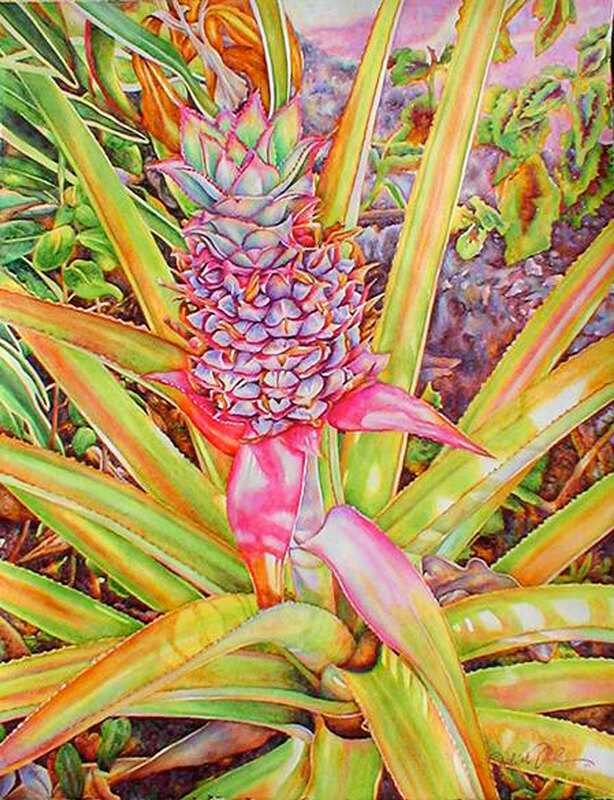 The colors of the pineapple were exquisite and the array of leaves that surrounded the fruit so regal that it was a vision to behold, not to mention paint! This is a limited edition of 250 giclée prints on watercolor paper. The original painting has been sold.